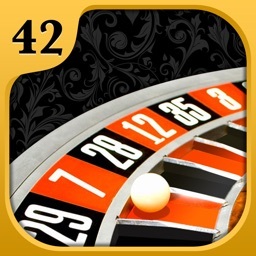 Play the best free roulette game with millions of players from all over the world! 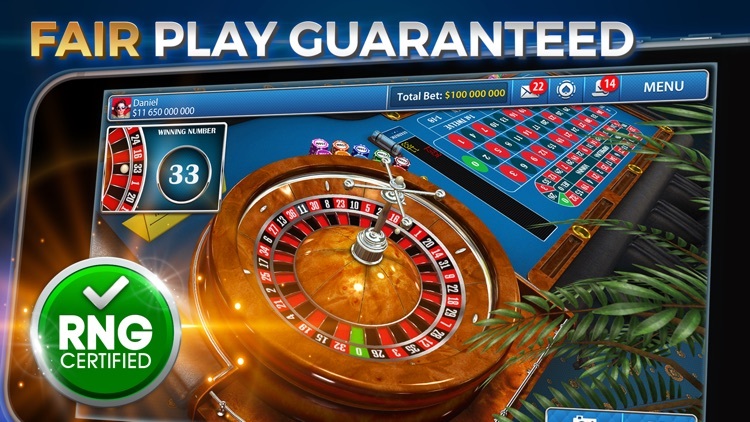 A realistic roulette table with 3D graphics, featuring all varieties of roulette: three-sector European, "double zero" American and French with additional betting on sectors. Place bets, take risks, improve your skills, and gain experience! Experiment and win to become the best online roulette player! 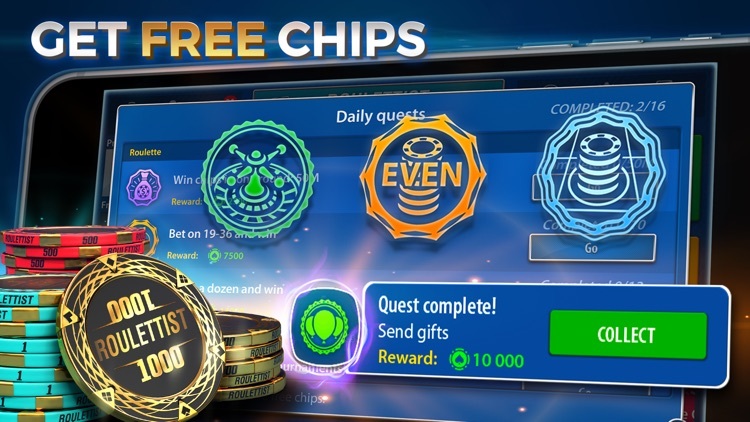 ● FREE CHIPS– Play the game every day to get free chips! 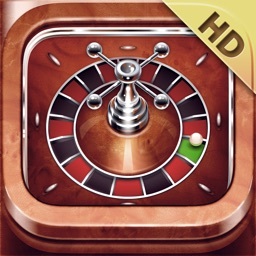 ● 3 VERSIONS OF ROULETTE– Try European, French and American roulette and choose the best for you. 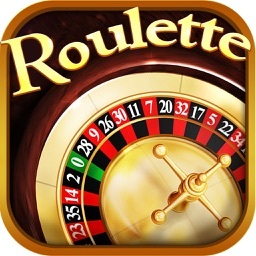 ● ROULETTE TOURNAMENTS– Compete against lots of worthy opponents and try your luck! 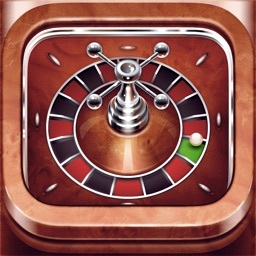 ● GET REWARDS– Up the stakes, win games, take risks and unlock achievements. ● QUESTS- Complete daily quests to get free chips! ● YOUR OWN PROFILE PAGE– Track your progress and status in the game! Get experience and level-up. 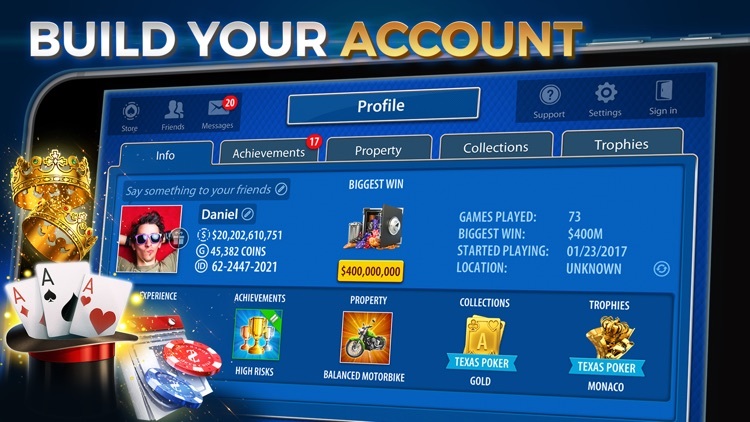 See how many roulette games you've won and achievements you've completed. Get unique properties and display them on your profile! View other players' profiles to see how you compare! 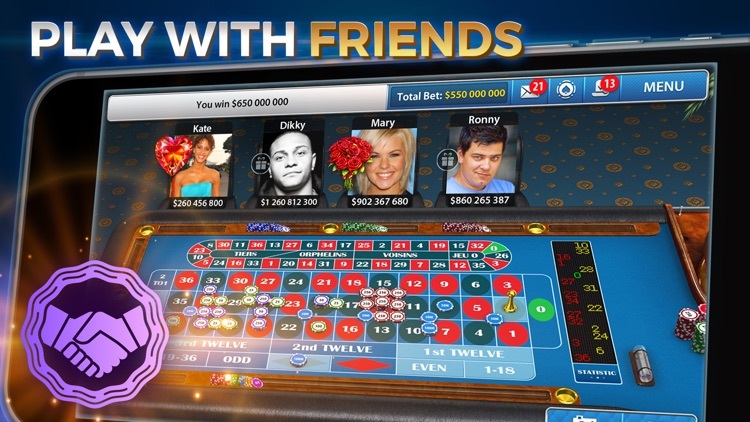 ● CHAT WITH OTHER PLAYERS– Have even more fun at the casino tables with our convenient in-game instant messenger and chat with other roulette players! ● FAIR HAND DEALING GUARANTEED– Our certified Random Number Generator (RNG) gives you the best and fairest roulette experience. 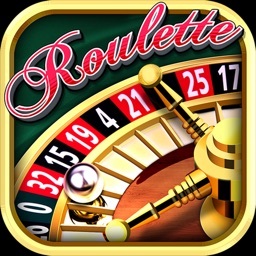 ● LEARN TO PLAY– Are you new to roulette but always wanted to try it? Our simple-to-follow tutorial mode will help you take the first steps. Quickly learn everything you need to know about roulette, from the rules of the game to betting combinations. 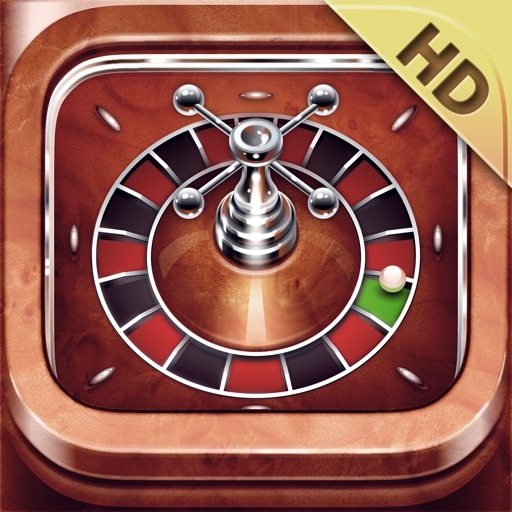 ● 3D GRAPHICS– An absolutely free roulette game with stunningly realistic 3D graphics. 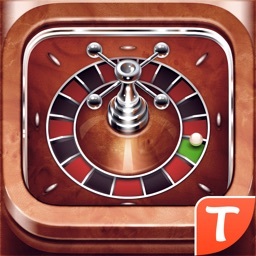 ● SINGLE ACCOUNT – Start playing free roulette on your smartphone, then continue on your tablet without losing progress. 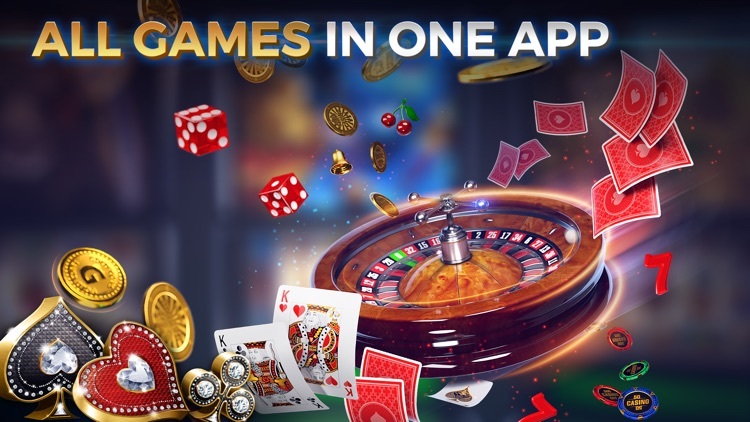 Use your account to play any of our other casino games in one app. ● TEXAS HOLD'EM POKER – The most popular casino game among professional gamblers! Test your skills in our amazing weekly poker tournaments! ● SLOTS– Explore our themed slots with lots of unique features! ● OMAHA POKER – A more dynamic version of poker, with 4 cards in your hand. Have more fun with amazing combinations! ● BACCARAT– One of the most popular and exciting card games with superior 3D graphics! ● CRAPS– The first 3D craps game ever. Make bets, roll the dice, take risks and become the best craps player!